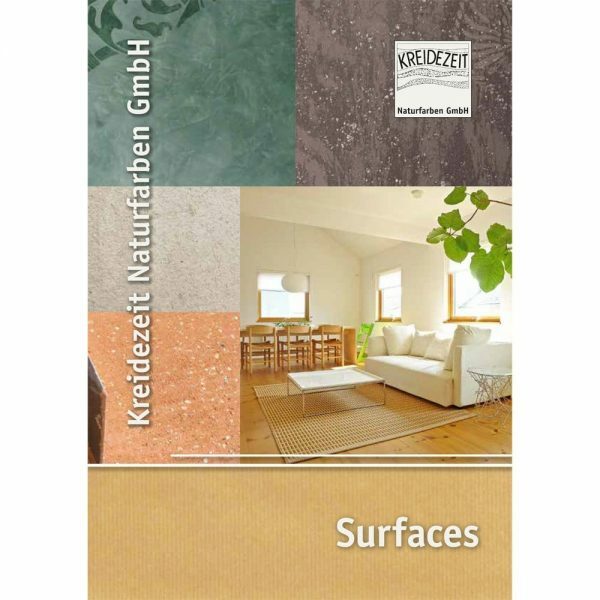 The basis of Kreidezeit products are traditional formulas enhanced to meet the needs and requirements of today. Our Kreidezeit Surfaces brochure contains about 200 products, many of which are derived from our own development and manufacturing. Our product information always shows a complete list of all components used. Some of our products have been tested by the leading German consumer magazine for environmentally friendly products, Ökotest, and graded “Good” or “Very Good”. The demand for natural products is increasing constantly. We utilize our success to support social and ecological projects in Africa and Latin America (see page 74, Rainforest Project). All products should make building-physically sense, be aesthetically of the highest quality, ecologically sound and easy to apply.